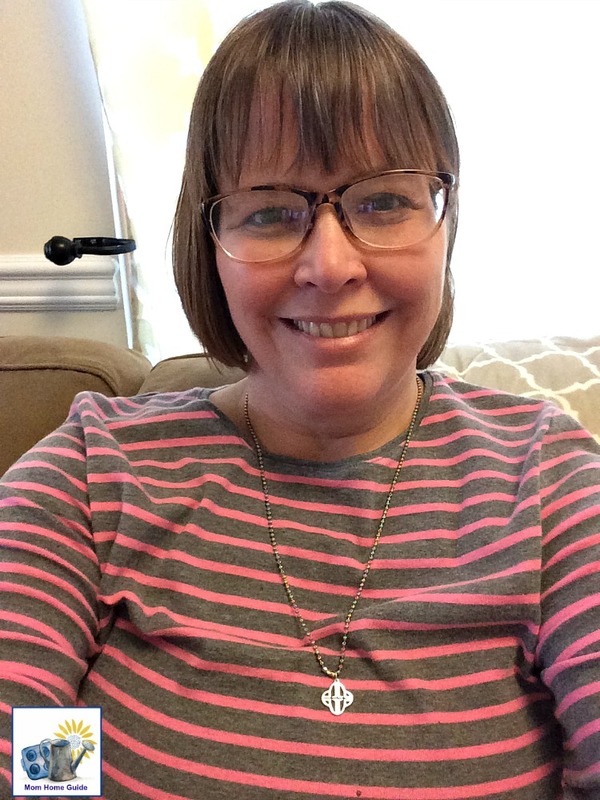 *I received a complimentary pair of eyeglasses from GlassesShop in exchange for my review. All opinions expressed in this post are 100% my own. My good blogging friend, Carrie of Curly Crafty Mom, shares what’s she up to every month in a “Currently” post. 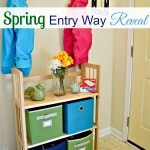 Carrie links her post up to a fun linky party run by Becky at Choose Happy. 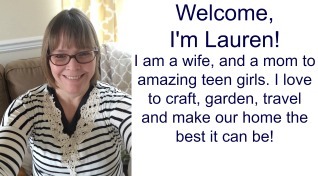 The linky party is a welcoming place for bloggers to share what has been going on in their lives. My daughters recently had their spring break from school. 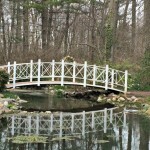 We shared a wonderful week together, and my girls and I visited many beautiful spots throughout New Jersey. 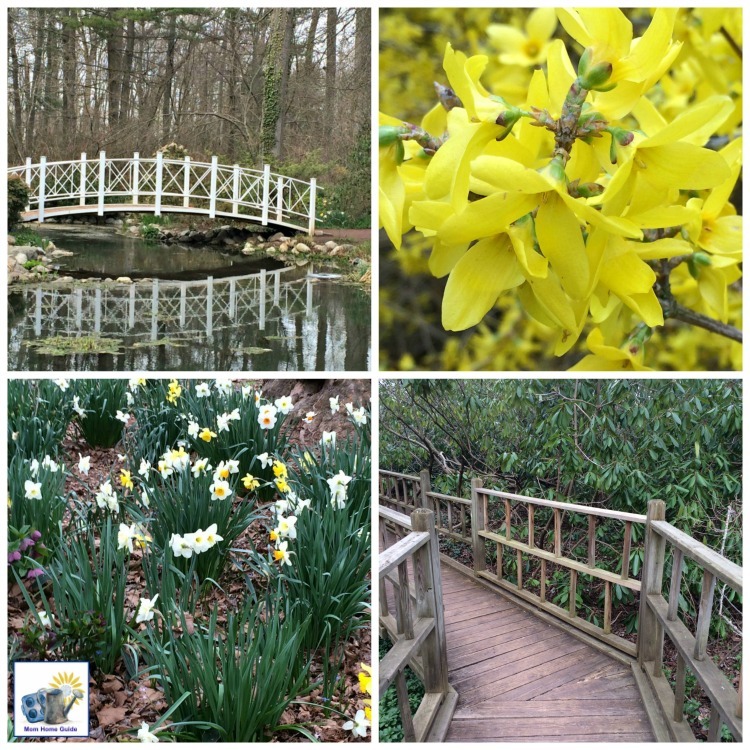 The below are a few photos from our visit to the nearby Sayen Gardens. I hope to be shariing details about some of our other spring break day trips soon! I have been wearing glasses for years, so I welcome the chance to get a new look and an additional pair of eyeglasses. I recently got a new pair of progressive glasses from GlassesShop. These cheap glasses will be a welcome pair to have around the house, as I am always misplacing my prescription eyeglasses! To order my eyeglasses, all I had to do was choose my pair online and share my eyeglass prescription with GlassesShop. The below photo shows me in my new eyeglasses! GlassesShop also offers prescription sunglasses, so I’ll have to look into getting a pair of those — I’ve actually never owned a pair of prescription sunglasses! If you would like to get 50% off eyeglasses and sunglasses with free lenses (sale frames excluded) at GlassesShop, use the code GSHOT50. 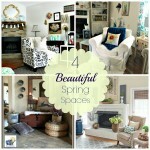 Now that the weather is a little warmer and more spring like this week, I am dreaming of starting my spring garden. 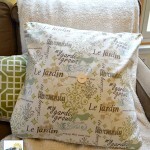 I love the gardening tips shared by Manuala of A Cultivated Nest at this week’s Motivation Monday linky party! I also really like the design of Manuela’s raised garden beds and her garden bed’s trellises. I am thinking of putting up some trellises around my garden for some peas, and adding wire fencing to the trellises to keep out critters. 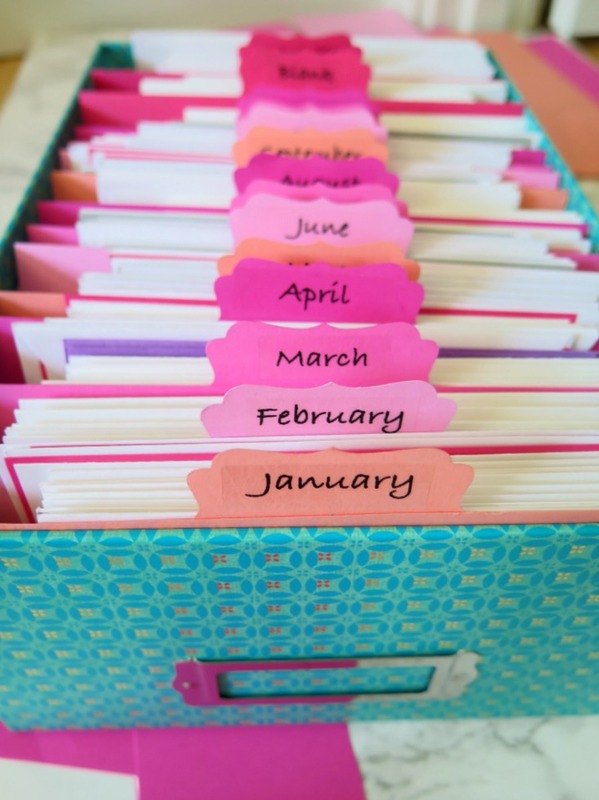 I’ve been on an organizing kick lately! 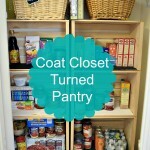 I converted a coat closet into a pantry, and have been loving my home’s new organized space! 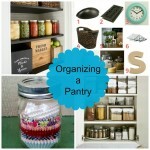 In fact, I’ve already added more DIY organizational details to the pantry that I hope to share with you soon. 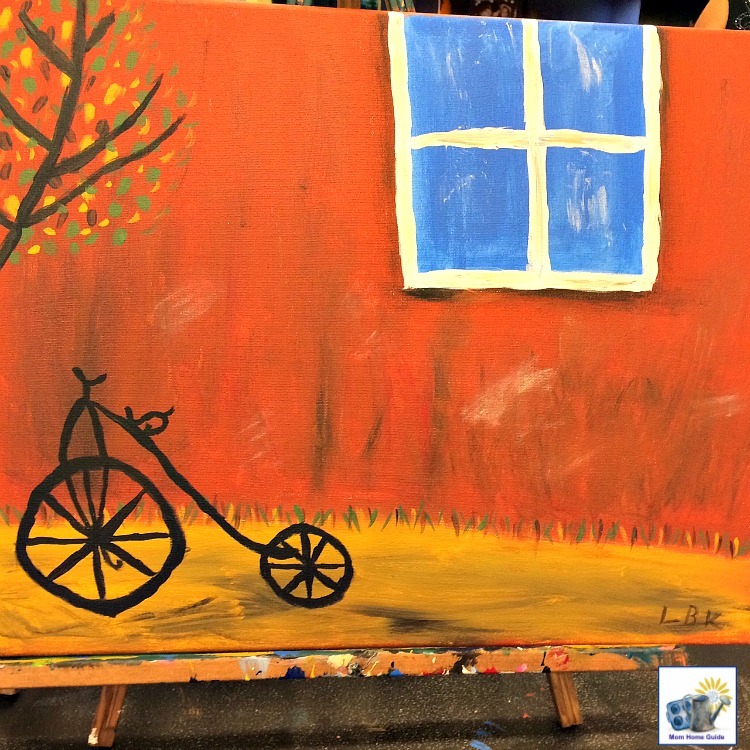 Also this past weekend, I got to enjoy a painting class at Pinot’s Palette in Princeton with my close friend, Elise. It was great to spend time together. The class was one of those classes where everyone paints the same exact painting, but everyone’s painting came out a bit differently! My painting is now hanging in my laundry room. (I figure the laundry room could use a bit of color.) My daughters are going to get to have some painting fun this coming weekend at the same painting place to help celebrate Elise’s daughter’s birthday. I think they will have a blast! For more on what I’ve been up to lately, be sure to follow Mom Home Guide on Instagram, and be sure to check back next month for May’s Currently post! What have you been up to lately? Please share in the comments! You’ve done a lot of fun activities lately. I love that greeting card organizer, is it for cards you haven’t sent yet? I could use something like that, for instance I need a birthday card for my dad right now and will need to run out for just the card itself! I should keep some around the house. I am also getting excited about gardening! 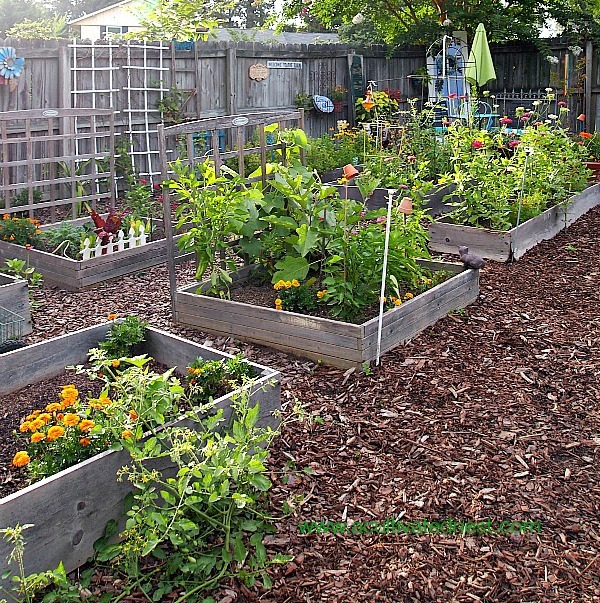 I love those raised beds, that is something I’ve always wanted to do in my yard, but I seem to stay so busy keeping care of everything else. We have a lot of roses and perennials! 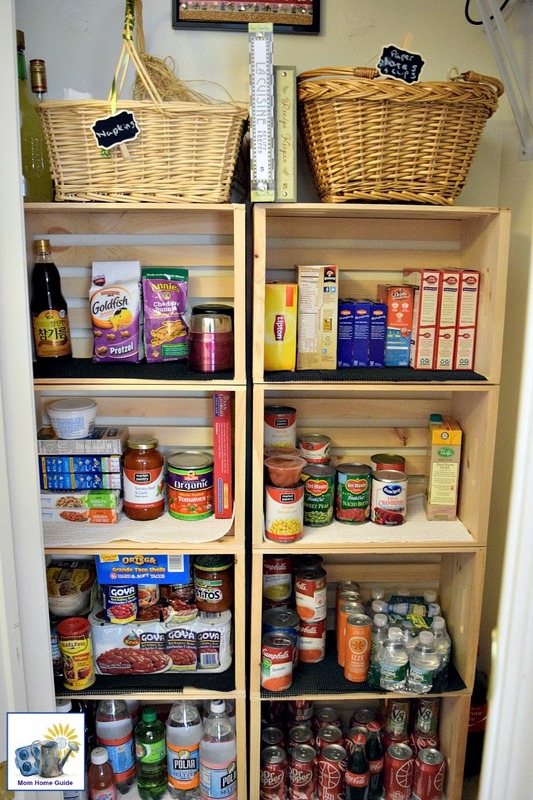 Carrie @ Curly Crafty Mom recently posted…Two Years of Meal Plan Recipes! Hi, Carrie! The card organizer is for cards that haven’t been sent yet – I have so many cards around the house, because I buy them for birthdays, etc, but stash them in a drawer and forget about them! (And then buy more cards!) LOL I can’t wait to start gardening, too! I know you have a lot of great container gardens in your yard!